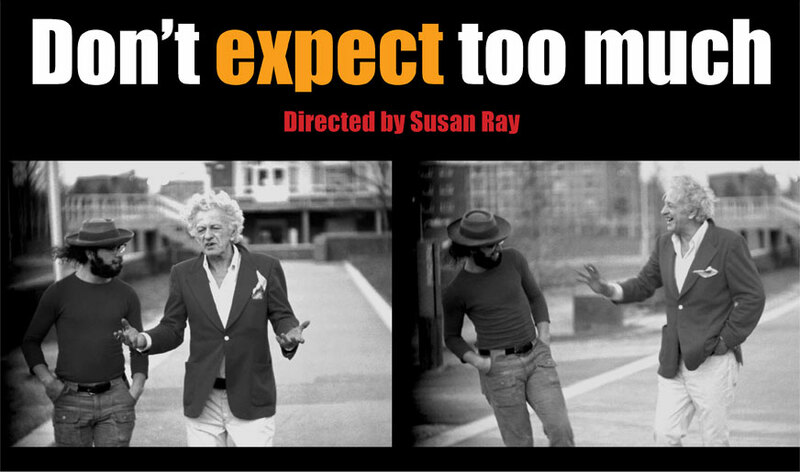 Receiving its UK Premiere at this years' Edinburgh International Film Festival, Don't Expect Too Much is a somewhat absorbing feature on the later years of director, Nicholas Ray. Directed by his former partner, Susan, Don't Expect Too Much looks at the turbulent production of one of Ray's final projects, the highly experimental, We Can't Go Home Again. By capturing the memories of some of those involved in the production alongside 'making of' footage, Susan Ray gives us a stark, authentic portrait of the iconic director. It is interesting to see how the career of Ray (the director of such classics as Johnny Guitar and Rebel Without A Cause), evolved as he left Hollywood - moving on to teach at Binghampton University, a phase of his life that I personally never knew much about. We are given an insight into the director's teaching methods where he believed that film students would learn best by simply making a film, thus resulting in the massively scaled, We Can't Go Home. Don't Expect Too Much captures a master at work, showing how he worked with students in the collaborative filmmaking process. Seeing Ray, a man who has worked with Humphrey Bogart, James Dean and Joan Crawford, work with inexperienced students in an equally serious manner is fascinating. One highly emotive sequence shows us Ray comforting a student who was attacked for looking like a hippie, this makes for powerful viewing. Seeing the aging director moving from traditional Hollywood cinema to more experimental independent cinema is fascinating. Susan Ray manages to capture her partners' sky-high ambitions and enthusiasm at new creative discoveries - like having four multiple projectors running at once or by using video synthesiser. Whilst, she captures that Ray was a man continually pushing boundaries, Susan Ray also manages to reflect his battles with alcohol addiction, making Don't Expect Too Much a rather bittersweet watch. Although this is rather interesting subject matter to film fans, one cannot help but think it is stretched too far. There are several moments where it feels as if Don't Expect Too Much is repeating itself, with many of the interviews simply feeling as if they are covering the same ground - mainly that Ray was difficult, yet they are grateful for working with him. Perhaps had Don't Expect Too Much focussed slightly more on Ray's earlier career, as well as his time at Bingampton, it may have made for a more varied watch. The occasional anecdote about Ray trying to suss James Dean out or dumping Joan Crawford's wardrobe in mud to evoke more anger in her performance, prove to be fascinating. Don't Expect Too Much is a rather absorbing look at the method and ambitions of Nicholas Ray. It's narrative structure may feel somewhat repetitive at points and it may have benefited by contrasting his experimental projects with his prior Hollywood pictures. However, at a short 70 minutes it proves to be interesting enough.